To reduce your cost, Brandsport offers this item in Bulk (sold here individually). Gorilla also lists this same item in 4-piece sets as Display Package # 41147 and Bag # 41147B. 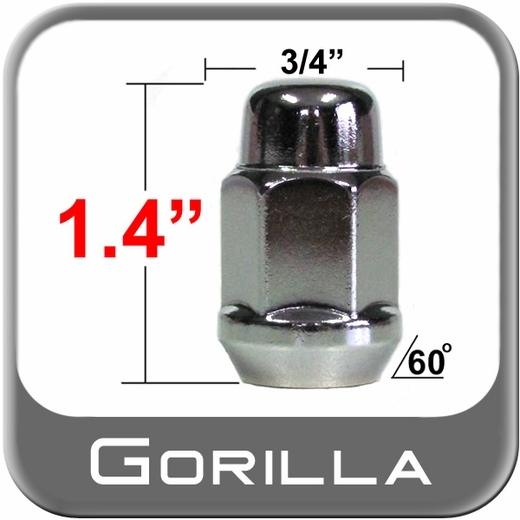 Fine chrome finish guarantees years of worry free driving pleasure. .
Each Gorilla chrome lug nut is cast from high grade tempered steel. Spot on seating for that definitive custom fit for any model with a 14mm thread.